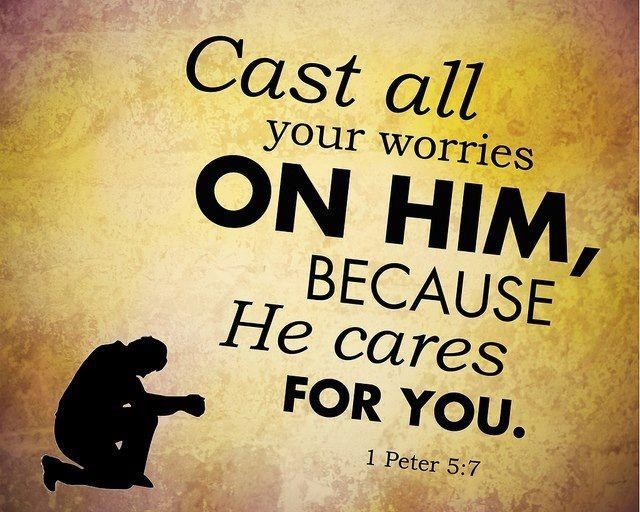 Cast all of your cares upon Me, for I do care for you, says the LORD. I care about what you are facing and I care about the things that you need. I love you with an unimpeachable love that never ends. My grace is sufficient for you. Come closer to Me and shift the load upon Me, for it is not too heavy for ME, but it is too heavy for you. I Am able, says the LORD. I can help you. I Am almighty and I Am unlimited. Trust that I can make a way for you where there is no way. I Am your hope and I will give you strength. Be courageous and be brave, for I did not make you a quitter. I will strengthen and help you as you lean upon Me and entrust your life to Me as your Good Shepherd, says the LORD. Your destiny is ahead of you and you will not be stuck in a place of poverty and problems as you allow Me to gently lead you forward. Let Me be your first choice and pursuit, for I created you for a purpose that you have not yet embraced. Troubles on every side are not My prescription for your life nor your destiny. I AM. Come closer to Me and run hard after Me rather than away from Me. Do not let your feelings of despair destroy your faith that I will honor. Do not look at the negative things, but see the favor that I have given you even now. Things will improve as you entrust Me to be your help and receive the grace that I give you that you cannot earn, as you come to Me in simple, child-like faith and believe that I Am the rewarder of those who diligently seek Me, and that includes you, says the LORD. Amen ! Abbah father is thank you for the sufficient grace which you have given unto me. Thank you Abba Father, I receive your words. Amen ! Amen, O’ Great Jehovah, the great I AM !!! Thankyou my Jesus your goodness humbles me. care for me, used for your Glory, in such a time as this. Poverty, is not my portion. you have belongs to me, as your precious and loving daughter, who loves you. Thank you once again for your words of hope, such a delight to me. I love you. AMEN & Thank YOU JESUS FOR LIFTING & TAKING EVERY LOAD!